With more than 180 sessions, you'll have the opportunity to learn new tips, tricks and other ways to use NISC’s solutions and services that will help you do your job more effectively and efficiently. You'll be able to learn directly from NISC staff, many of whom you've come to know as colleagues and friends through a support call or an implementation. Hear firsthand success stories by attending sessions led by your peers, providing a different perspective on getting the most out of NISC’s solutions and services. 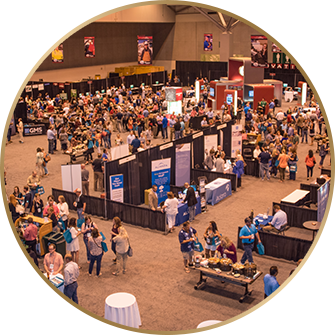 More than 2,000 of our closest friends, our NISC Members and Customers, will be in attendance, giving you an opportunity to connect and network with others from across the country. Not only will you learn about NISC’s solutions and services, but you will also receive industry updates and discuss important trends surrounding the telecom and utility industries that could impact you, your organization and the members and customers who depend on you. The technology! NISC is a technology company, so you'll be able to stop by NISC’s booth at the Partner Pavilion and test drive some of the latest and greatest innovations.